Happy Monday, all! After last weeks’ video on the new Art Impressions release, many of you asked to see one of the Wiggle Wobble sets in action. So here we go! 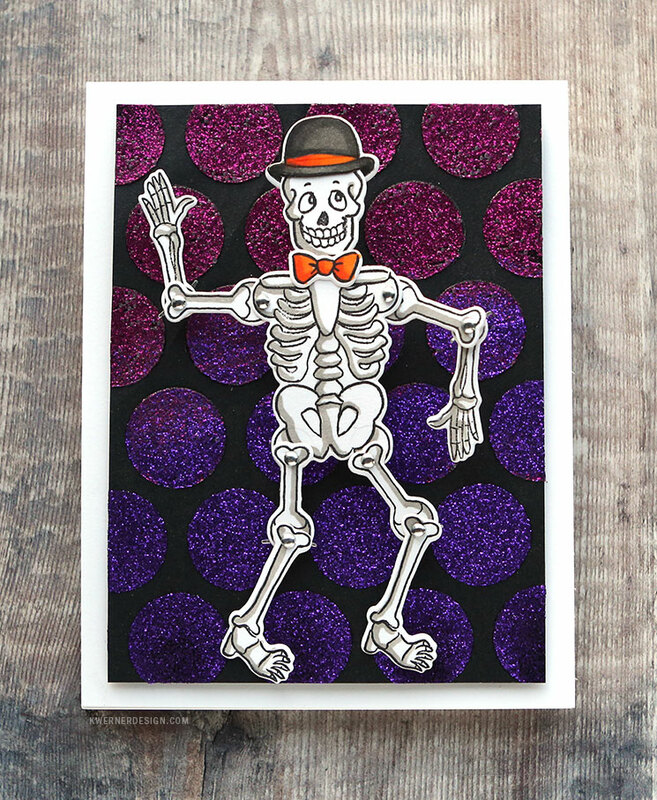 I chose to try out the Skeleton Wiggle Wobble (available from Simon and from the Art Impressions shop). Check out all the sets available at Simon HERE. Stamp set of images. Some images must be stamped multiple times. For example, in the Skeleton Wiggle Wobble set there was only one foot stamp, one hand stamp, and one bone stamp. Those images needed to be stamped multiples time in order to assemble the complete skeleton. Small brads to be used as hinges. Enough brads are included to complete one skeleton. You can buy extra brads for future projects as well. 1 Mini Action Wobble. You can buy extra Mini Action Wobbles for future projects. I stamped all the components of the skeleton (including multiple stampings of the foot, hand and bone images so that I would have all the necessary pieces) in Simon Says Stamp Intense Black ink. Then I added some simple Copic coloring. I used the dies included in the set to cut out the skeleton pieces perfectly. Assembling the skeleton was easy. I looked at the packaging as an example and added silver brads (also included in the set) to the hinge areas. 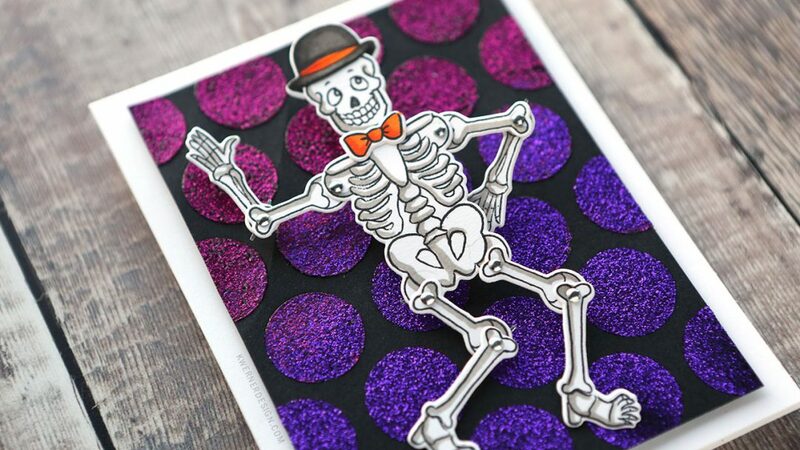 The last part of making the Wiggle Wobble work is to adhere the skeleton to a card using the included Mini Action Wobble. 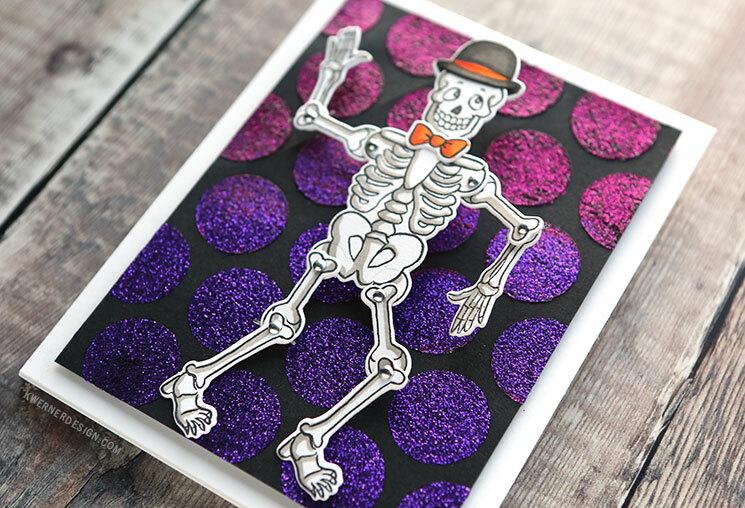 I adhered the skeleton to the front of a card over the top of a background I created with glitter pastes (Viva Glitter Paste in Fuchsia and Cosmic Shimmer Paste in Viviv Violet) and the Large Dots stencil from Simon. NOTE: In the video I specifically mention using a new non-stick mat, the Tonic Easy Clean Mat. So far I’m really loving it! I love that it’s white and that the bottom is non-slip so that it doesn’t need taping down to my surface to prevent sliding around. 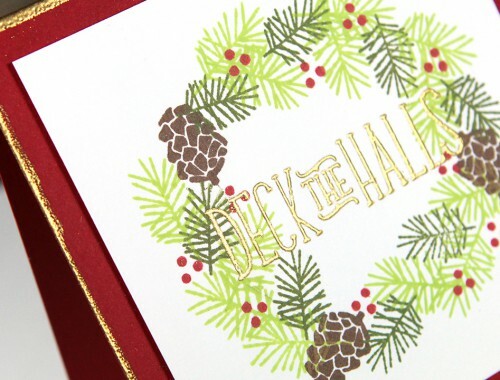 Anyhow, I hope you enjoy today’s card! Thanks for stopping by!